As you can see I decided to take my chicken noodle obsession out of the soup pot and put it into a casserole dish. You know, sometimes you have to think outside the box, and I am on another cupboard use up, and I had a can of cheddar cheese soup that I was tired of looking at!! This is more of a semi homemade casserole. If you don't prefer to use these canned soups this might not be the recipe for you. However, it is delish AND, it will feed a small army. How do I know this? Because, the fact that it uses 24 ounces of pasta drive it home pretty clearly! Really though, this was a bit of a use up and a bit of my hankerin' for something cheese with pasta and chicken. It is easy and in fact, make it a day ahead or make it weeks ahead and freeze it! Just take it out of the freezer the morning before you need it and let it thaw in the fridge. Or the "frigilater" as my great niece Leyana calls it! 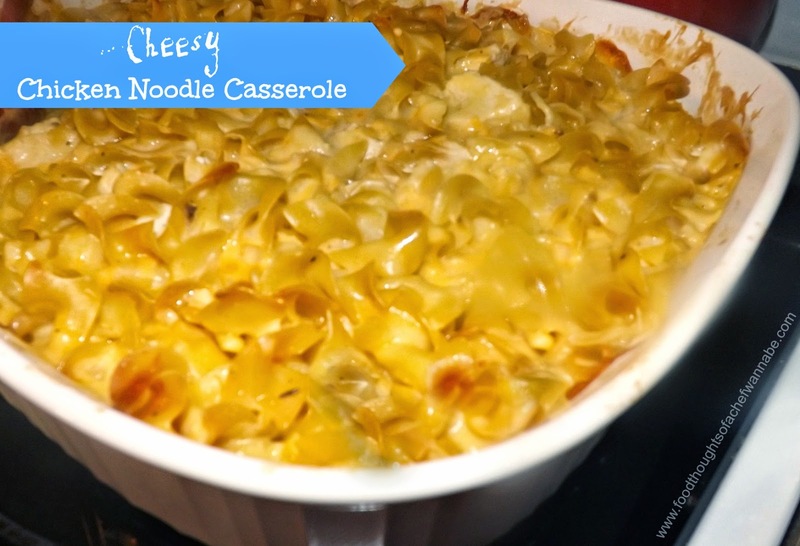 I hope you enjoy this easy, but really delicious casserole, and go through your cupboards, use up what has been there awhile, it is so gratifying!! Boil your pasta 1 minute sure of the suggested time. Drain and set aside. In a large bowl combine the soups, milk, and butter. Whisk until smooth. Add in chicken, half of the cheese and egg noodles. When the mixture is completely combined, pour into a greased casserole dish a BIG one, or you can use 2 smaller ones, because that is how much this makes! Sprinkle the remaining cheese on top. Bake at 375 F for 40-50 minutes until melty and bubbly and delicious! Use this as a base recipe, add what you like, maybe some veggies, maybe some breadcrumbs on top, there is an endless amount of things to change it up to meet the taste and needs of your family.